As of this morning, the ~170 climbers stranded in Camps I and II are being heli evac’ed to the relative safety of base camp via completely private efforts of the expeditions funding these flights flown by Fishtail Air and Simrek. 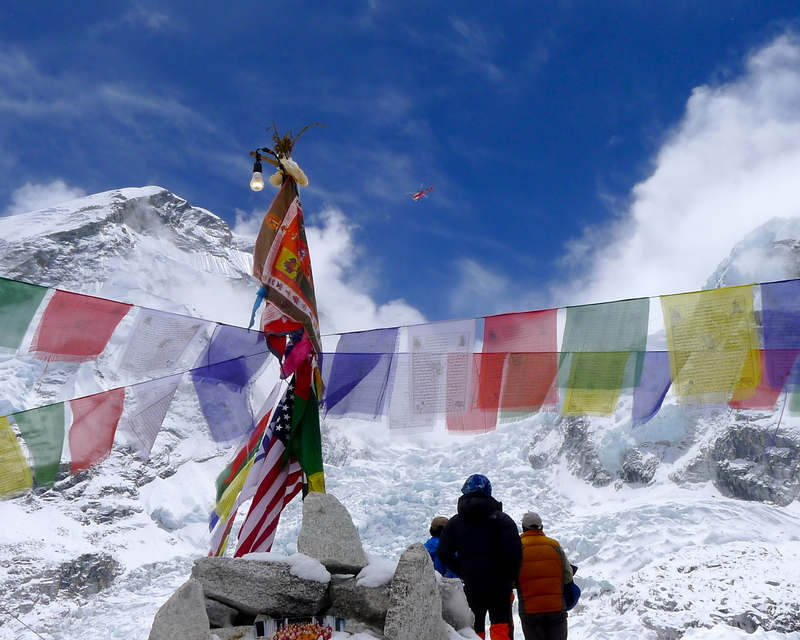 Avalanches continue to shower down from Lo La Pass, Pumori, and Nuptse, keeping anxiety high. The Kathmandu airport has shut down to commercial flights, only allowing humanitarian and military flights for the time-being, which is understandable given the extensive devastation. That likely means that we’ll remain here for the foreseeable future. The villages down valley have been heavily impacted, so staying put with all of our supplies makes the most sense currently. Given the widespread destruction, the Sherpas need to return to their villages and families as soon as possible, of course with our blessing, so all expeditions are considering their limited extraction options. As for how folks back home can help, which I have been asked a lot, please visit http://www.himalayan-foundation.org and donate to the American Himalayan Foundation, where 100% of donations go straight to recovery efforts. Jim, our prayers are with you and your team. Thanks, Greg. Greatly appreciated, my friend. My prayers are with the climbers and all the people of Nepal.